Here is a new song I would like to share with you and your readers. nice new lyrics… and the tune?? or whether my comments are being accepted!! cheers… thanks for this great site. Hey, Robin, how are you? Don’t know why your comments bounced to spam, but I freed them. wow–deep. would love to hear it in concert. Hey LindaLee!! well, are you in Vermont today? 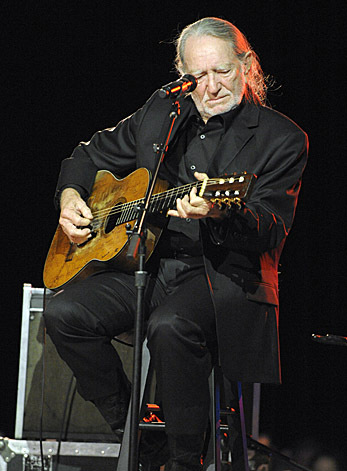 I meant to write you sooner to see if we could meet up when Willie comes to VT… I will be there! maybe I can find you again… hope this doesn’t bounce to spam!!!!! ah, home in Colorado!! nice… maybe it’s a little drier out there… we have a real disaster on our hands around here, actually. oh yeah, I’ll see if I can get you some pix with my unsophisticated camera! Oh, I would love if you would e-mail me a picture! I’ll post it immediately. Thanks, Robin. sorry about the weather. Yeah, Farm Aid is in August. I wish I were there. I would love to go to Vermont.